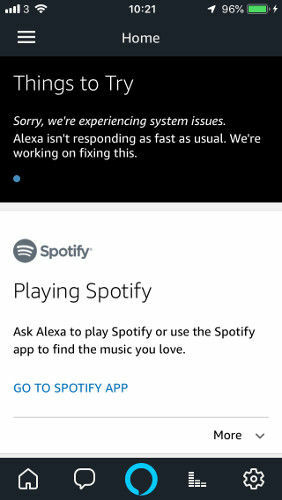 Alexa is down.... My house is broken! Worst part is, the Alarm is stored locally so it still works... But you can't turn it off because Alexa doesn't respond to voice commands.. like "Alexa, stop"!!! #alexadown #Alexa #amazon Meine Echo dots sind down, der Plus nicht?!?!!! We have asked Amazon to explain what was happening but it hasn’t yet replied to us. There are no messages acknowledging the cockup on any of its social media or other marketing channels. This was the vision of pure hell that greeted one Vulture this morning. One Reg reader told us he had seen short outages over the past few days.